Mandy - Yay for my remembery not being broken for once! Haha. And um...how is this little gem safe exactly? That is not safe under any conditions. If I had been at work when I saw it, I woulda gotten all kinds of strange looks cause I completely just busted out laughing. I don't care how many times I see it. That picture is garaunteed to make me laugh until my insides hurt. And I still need to print that out so I can have it on me at all times. Hahaha. Trine - I put the site in Google Translate so I could read it. Um. It translates weird. Haha. I wanna learn Norwegian now. Lol. And you're right. They have no way of knowing that Kristen is calling him everyday. Stupid rumors. Grrr. Sandy - I'm loving the new Summer House PervCouch™! Nice! And the PervSwing™ is also awesome. Thanks for the lovely contributions! And eRob looks so cute sitting there...all alone...on the beach. Someone should keep him company. Oh I know! I'll do it! Tracy - Holy batman that pool is so sporking awesome! I want one for my own back yard! Lol. Wow. Nice. Unicorn Cocktails sound yummy. I will have to try that sometime. NewJen - Thanks for the funny feet picture! I love his facial expression as well. Haha. And I've always loved that song by Smashing Pumpkins. I'm not sure what made me think of it now. Neya - Woohoo you got a day off! Thanks for the PlaidHoodyRob! Mmmm. And I just saw the New Moon picture right before I read your post. Thanks for posting it! Rob does look wicked. And yeah Bella does look tortured. Guess I'll have to buy New Moon again when that comes out. I say that like I'm complaining. Haha. Erika - A shirtless Rob being arrested, while undoubtedly would be hot, is a tad too Cops for my taste. Lol. Sorry, that was the first thing that popped into my head. *sings* Bad boys, bad boys. Whatcha gonna do? Whatcha gonna do when they come for you. Oh and your banner is so damn beautiful! That e-wife of yours is a genius. Caryn - Oooo the pool bar looks fantabulous! Nicely done, my friend! We don't have to depool to get our RobGasms™? Wow. That sentence is made of win. Haha. And yes she kissed his neck. Did you see that she fracking pulled his hair when she moved his head to the side?? GAHH! I so want to be her. And yes I couldn't stop looking at his face. I wanna make him make that face. That would be awesome. And if I'm gonna die (and of course I will someday), I can't think of a better way to go! Jen - That does seem soon. Summit just keeps cranking out the movies though. Can't wait till they get their claws out of Rob. The manips you found are gorgeous! Thanks for those. Any luck finding the white t happy trail? Cause I want it too if ya do find it. Thanks also for the sunscreen. Cause I'ma need it. Jade - I WANT TOO! Lol. It looks incredibly badarse! That word loses it's meaning when you can't use the right word. Lol. Julie - Like I said, you're a flippin genius when it comes to the banners. I really do love yours, but I have to agree with you. I like Erika's better. Good job! If they had Siggie awards, you'd be Grand Supreme Ruler of the Siggies. Just saying. Shavei7 - I know you've popped into the RP as EC threads a few times, but I never learned your name. I'm Kristina, but mostly people call me Kristiner. Lol. Your banner was made by Nikki. *sniffle* So um..yeah welcome to the Summer House! Video of Rob's "arrest". Ok so it's just them showing him how he will be handled during that part, but still. I'd like to be the guy that gets to do the arresting. Or the car he gets bent over on. He is so cute when he's chewing gum. You can see that more in the video above. 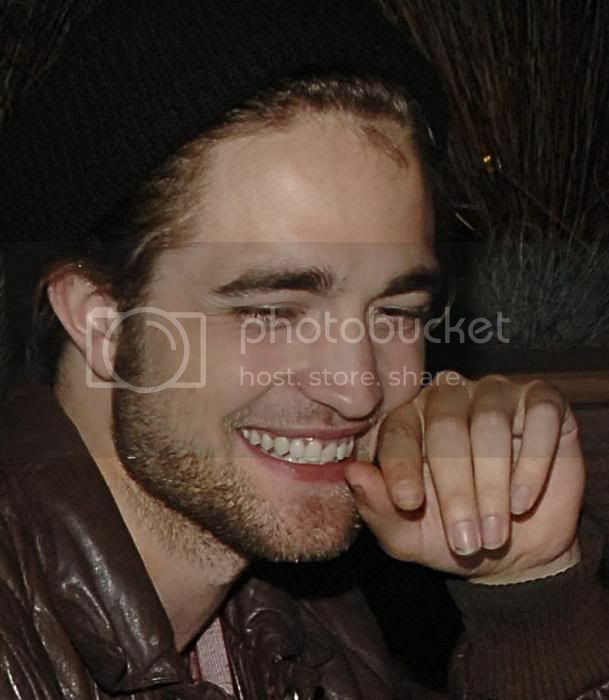 Rob wearing his sweater that the Tiana chick wore. I knew I'd find it eventually. Ok I know I shouldn't be upset, but for some reason it really bothers me that Rob is friends with Camilla Belle. Sorry Rob. It's just my jealous side showing it's ugly head. I apologize. DarkMuse wrote: Erika - A shirtless Rob being arrested, while undoubtedly would be hot, is a tad too Cops for my taste. Lol. Sorry, that was the first thing that popped into my head. *sings* Bad boys, bad boys. Whatcha gonna do? Whatcha gonna do when they come for you. Oh and your banner is so damn beautiful! That e-wife of yours is a genius. But... what if he was arrested by the hotness police (me) for being too hot (because he was shirtless)? Then he would get thrown in Hotness Jail (the Summer House). Isn't the banner loverly? My e-wife is an e-giver, not an e-taker. She's an e-dream come e-true. Erika - Ok ok. You twisted my arm. Lol. I know us inmates in the Hotness Jail will have fun making him our b!tch, but can we take turns being the Hotness Police? Cause you know..sometimes them thar coppers do things that don't get reported. Hi everyone, hope you're having a nice night. I'm loving all the new siggy's and avi's, courtesy of the incredibly talented Julie. I also love all the contributions and modifications we've made to The Summer House. How ever will we top ourselves for thread #4? As far as the new New Moon poster, Kristen and Taylor look gorgeous and Rob does look more Edwardly, as several of you mentioned. I'm not really sure why Kristen is wearing the tank top as it looks a little more like something out of Kristen's wardrobe than Bella's, in my humble opinion. I do like how Kristen has her arms crossed tightly in front of her body, almost to remind us how Bella felt the need to "hold herself together" throughout much of New Moon. Laura, welcome back and so glad that you found us! Maybe we should leave a trail of Rob-crumbs everytime we move to a new thread. Kristiner, "we don't have to depool to get our RobGasms" Too funny! Jen, thanks for those manips. Sandy was right, the first one did resemble our Stripward or Domward. Wouldn't it be great to have a signature or avatar with Domward/Subbella? Ashley posted this on the last thread and all I can think of when I see it is...CockA-Doodle-Doo!! And Kristiner--I have been catching up on about 11 pages waiting to answer your question from the last thread. I can't believe no one beat me to the punch. EDIT: I had to write "CockA" cuz when I separated the two words, the PG-13 people thought I meant something else (they know how our minds work here!) and instead of that four letter word, this popped up..."What does a rooster have to do with this?-A-Doodle-Doo" BWAHAHAHAHAHAHA!!! Kristiner~ Oh Sweets. Glad you appreciated my contributions to the SummerHouse. But, dear dear woman, you linked us to the article about Camilla Bella, but skipped the one about him partying across New Yorkin general? I must say, my curiosity is piqued. 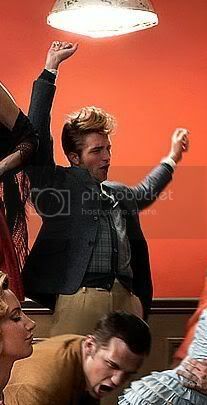 Who might this foreign blondie be who is apparently attracting fair Rob's attentions? Rob arrested by the hotness police for excessive shirtless hottness and thrown in hottness jail with all of ...gulp..us..
*breaks into a run for the TikiBar* Quick eBartender, I need a Unicorn....make that a triple!!! Kristiner, move your buns Sweets. Make room for me on that thar PervCouchTM!!!! Genevieve~ Thanks for the manips, Chere. Those were quite of the lovely. But I must say, I was highly impressed with her banner. That was nice indeed. Jade & Sandy~ I am not so sure if I am a fan of the new cover or not. Though, I do love, as Sandy pointed out, just how torn and tortured Bella looks. She wants to find comfort in Jacob. But she can't abide being with anyone but Edward. I think it'll grow on my. And, yes, I do appreciate the TayCob tat. It's a nice touch. I have to say, is it just me or does it seem like "the pack" is getting all the coolness this time around. I mean it makes a lot of sense. Essentially, this is their time to shine. But, they get buffed out TayCob and cool tats. The Cullens get overstyled KenLisle and Jasper and his amazing Mike Brady perm. *stamps foot* Not fair. Not fair at all!! The Cullen's should always be the beautifulest. Laura~ You found us!! Yay!! I was worried that someone might have missed the move. We (Nena) was all sneaky about it and did it at like 1:30 am. Welcome to the SummerHouse. Come on in, wer're all hanging by the pool. Damnit!! I knew there was a question I forgot to answer. Sorry Kristiner!! I have a question about the PervSwingTM Umm...where am I supposed to put my legs when I'm sitting on Rob's lap? There are no holes in the back... The holes that are there are for... "other" activities *fans self rapidly* "Oh My"
edward4ever wrote: I have a question about the PervSwingTM Umm...where am I supposed to put my legs when I'm sitting on Rob's lap? There are no holes in the back... The holes that are there are for... "other" activities *fans self rapidly* "Oh My"
*chokes on own saliva* LMAO!!!! ;O holey moley... From the manip site that gen(?) pposteded? Tracy - Leaving a trail of Rob-crumbs seems like a bright idea! Hahaha. Awesome. Pammy - Thanks for answering my question. I didn't think anyone would answer cause it was like in the middle of one of my blurbs to..um...Caryn(?) I tend to have bouts of word vomit. Happens quite often actually. I knew what DHN meant at one time, but have forgotten until now. So again, thanks. And the Mod/Admin filter is awesome, isn't it? Haha. I think Ashley and some of her friends on the Unitedness thread tested it one day. Some foreign bad words made it through. Maybe we should use those? Lol. OMG I just read your 'hole' post. I suppose you'll just have to use the holes that are available. Caryn - It's alright, love! No worries. And I for some unknown reason thought that I did post the other thing you posted. Then I remembered I read it on some other site and was going to post it. Oopsies. My bad. Thanks for doing it for me! Lol. I have no idea who the mysterious blonde from another country is or how she was charming our man. Grrr. Last edited by DarkMuse on Wed Jun 24, 2009 12:09 am, edited 1 time in total. Pammy ~ I see no problem whatsoever in making some, um, modifications to The PervSwingTM. I believe we would all benefit!! Jade ~ I'm currently reading "The List" and that link you posted so, ahem, fits the scene I just read. 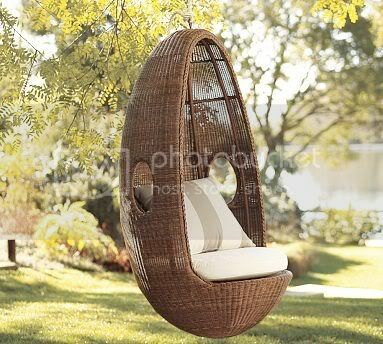 I may have to join you all on The Couch until the Swing is modified!